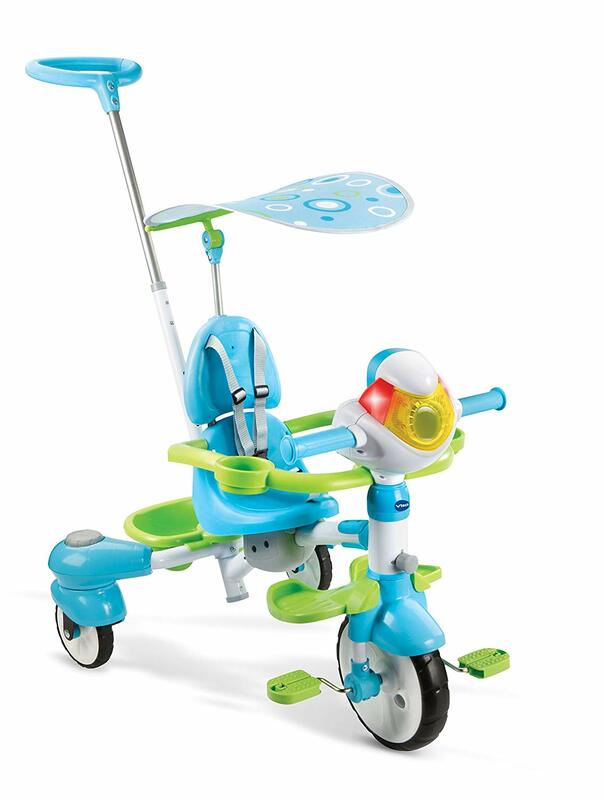 Stage 1 Stroll: 9 months – 18 months Use the handle to push your little one in the stroller stage. 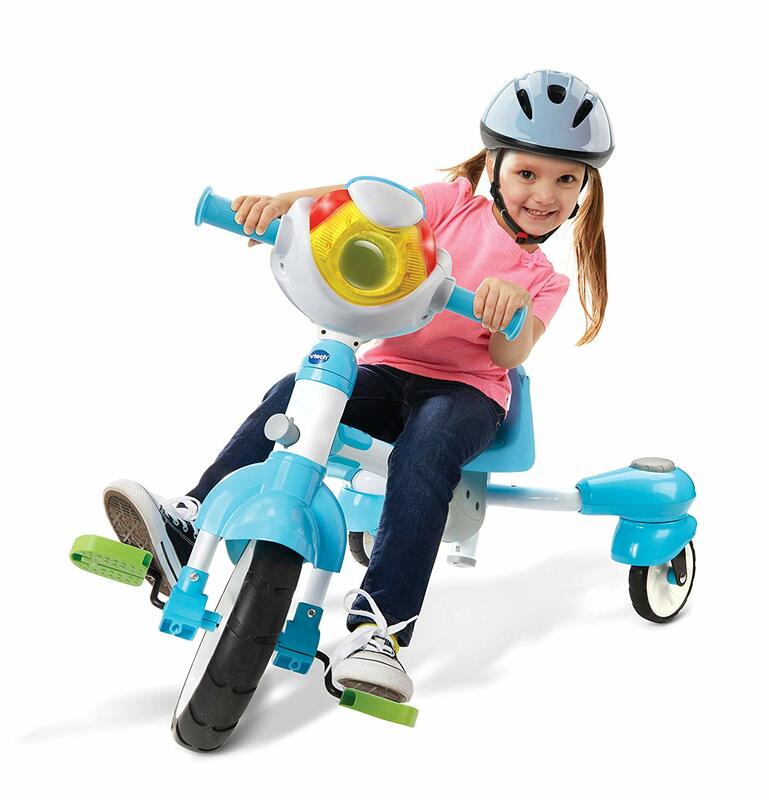 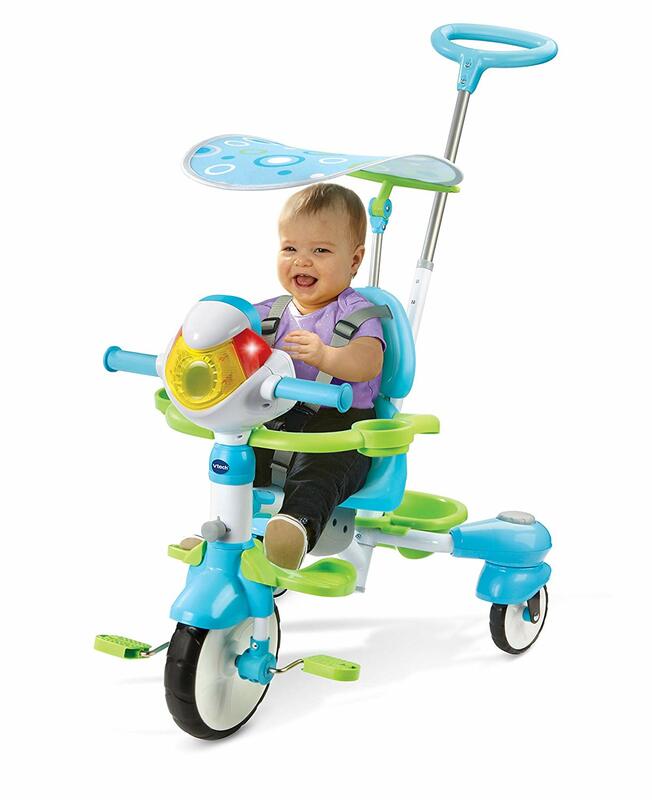 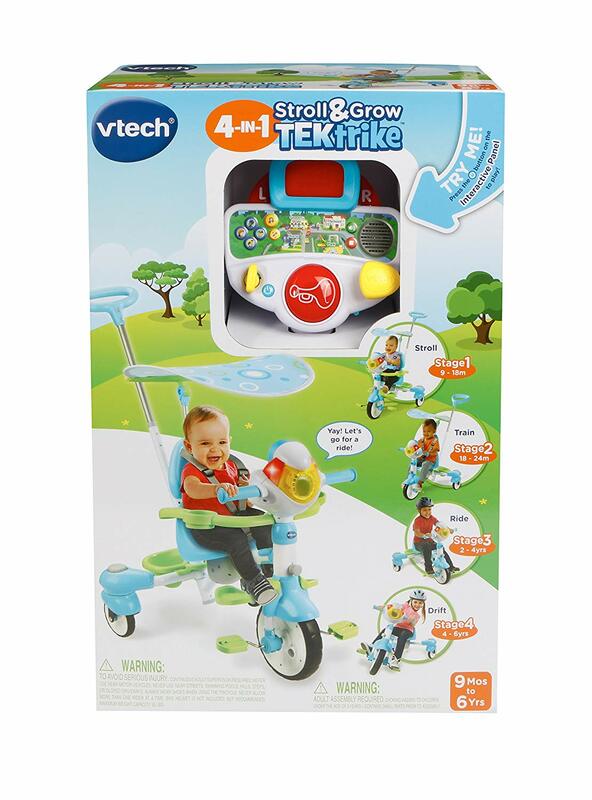 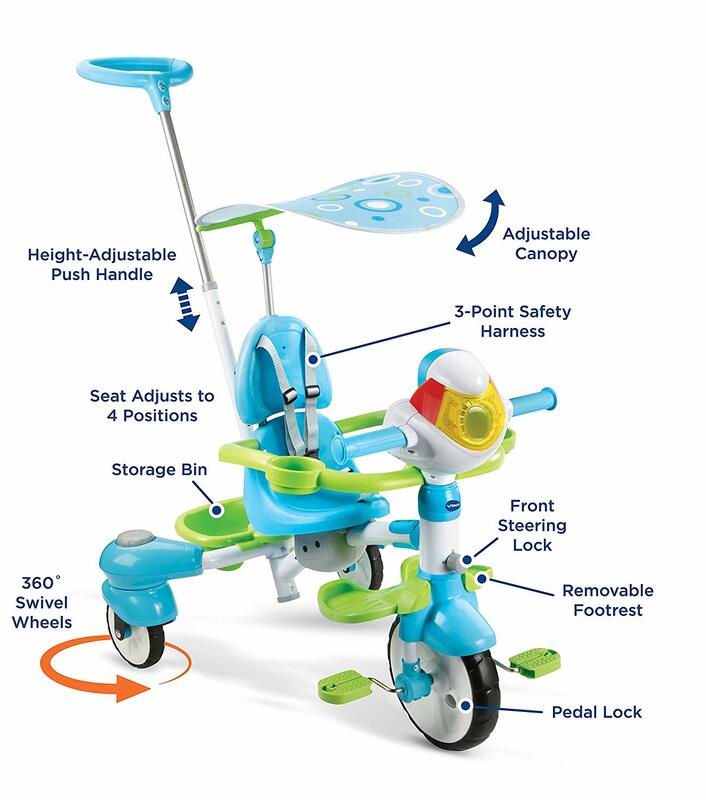 Stage 2 Train: 18 months – 24 months Push your child as they learn to ride the trike. 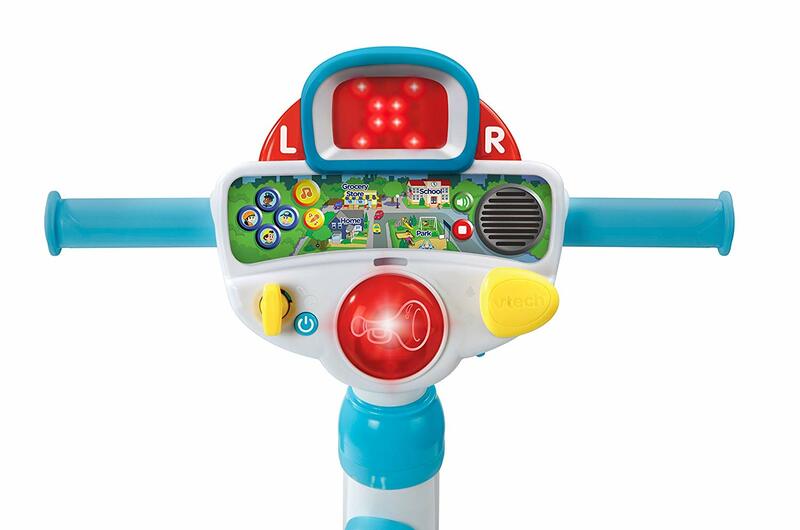 Stage 3 Ride: 2yrs – 4 years Watch as your child pedals and steers on their own. 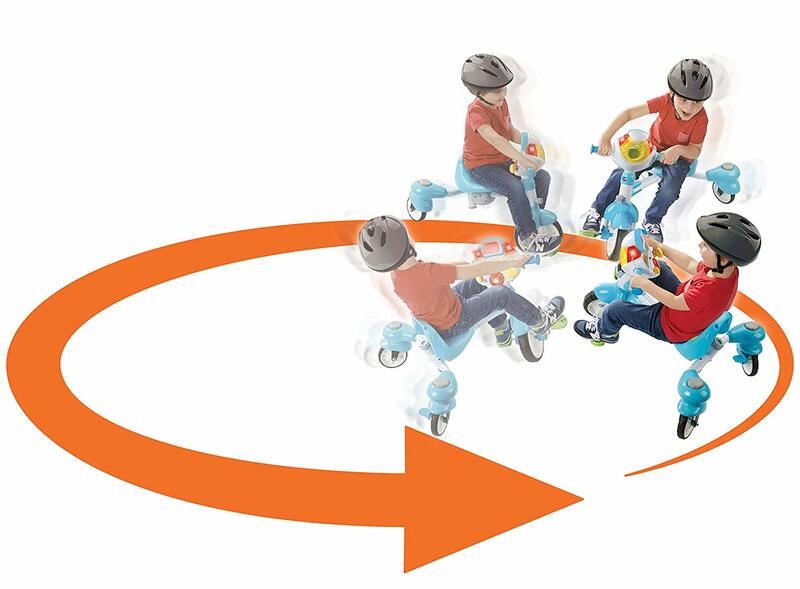 Stage 4 Drift: 4yrs – 6 years Unlock the back tires so your child can glide and spin freely.